I can not drink milk due to lactose issues so I having been buying almond milk. I recently learned that I can make it myself and found out the homemade version tastes just as good. I love making my almond milk as I can control the amount of sugar. Making almond milk is time consuming as you have to soak the almonds. I discovered an easier way to make almond milk. 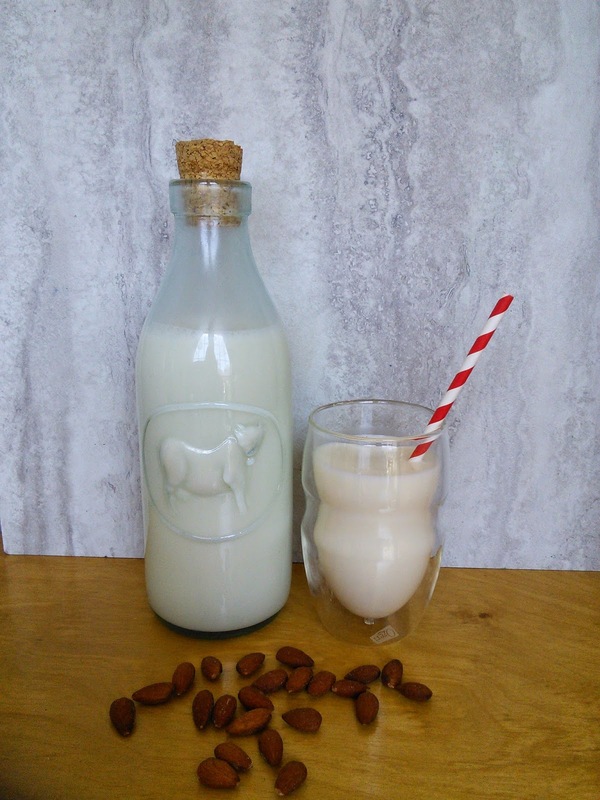 You can make almond milk from almond flour and my recipe is so easy. Morning Pep makes an awesome almond flour that makes a very tasty almond milk. 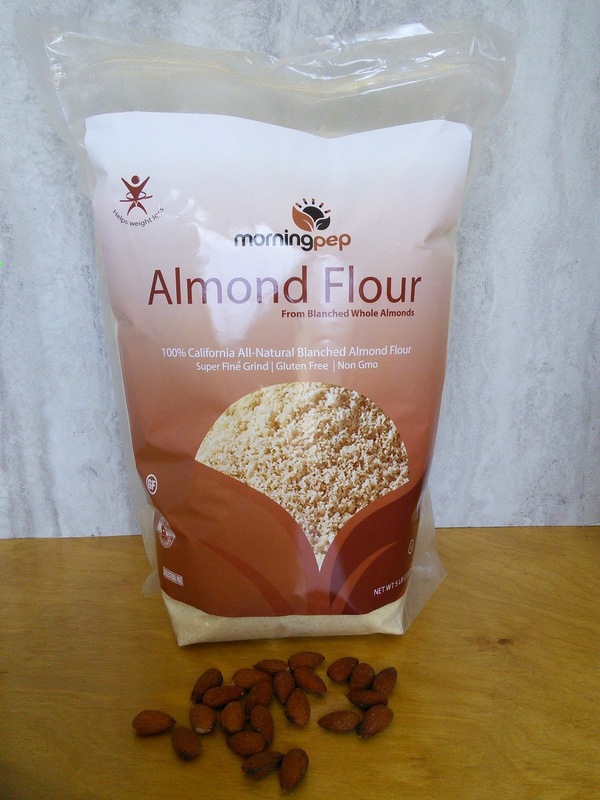 Morning Pep almond flour is made from 100% all-natural Gluten-Free certified organic blanched almonds. The almonds are finely ground and are a great source of fiber, vitamin E, protein, iron, magnesium & calcium. This flour is also certified Kosher and has no additives or preservatives. This almond flour is also a great substitute for wheat flour in baked goods. Combine all ingredients in a blender with a tight fitting lid. Blend on high speed for 3-4 minutes. Pour liquid through a nut bag or cloth lined strainer, placed over a large bowl. Strain almond milk through strainer. Refrigerate to chill. This milk will last a week. This is what a nut bag looks like. This is the leftover almond meal, it can be used for other recipes like meat breading or in baked goods. You can simply freeze it or dry it in the oven. Search the internet for uses. 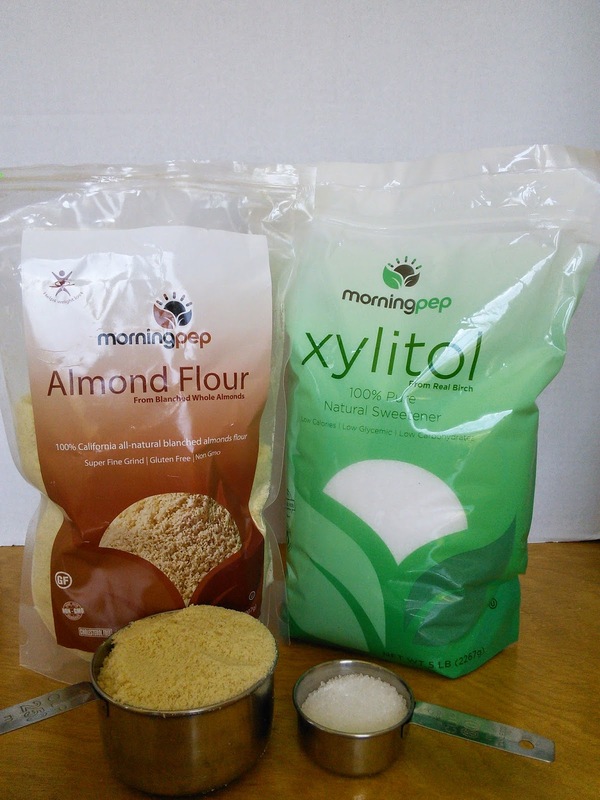 Morning Pep offers Almond Flour in 2 sizes as well. 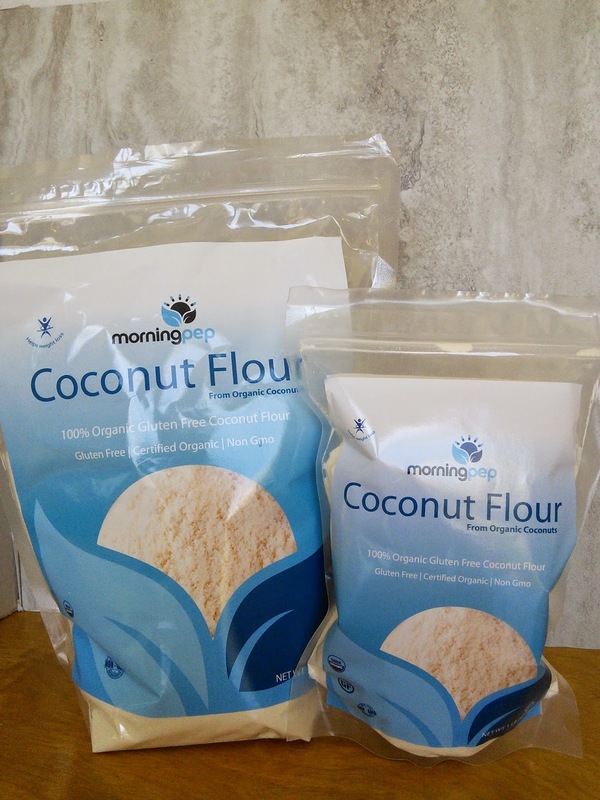 Morning Pep also sells Coconut flour which is great to use in recipes in place of some or all the flour. 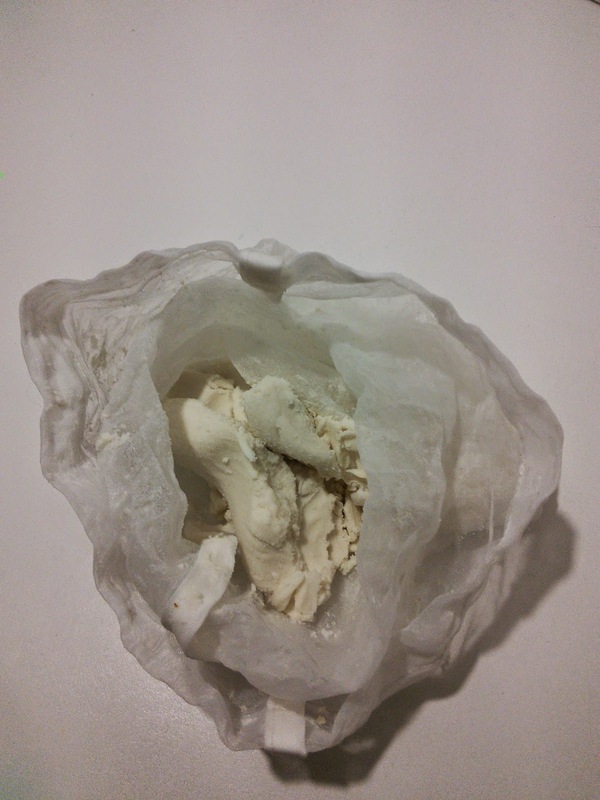 + 100% pure organic Coconut flour. Vegan, gluten-free, Kosher and USDA certified organic. + Coconut flour is High in fiber and low in sodium and digestible carbohydrates, and very low in cholesterol. Morning Pep currently offers Coconut Flour in 2 sizes. 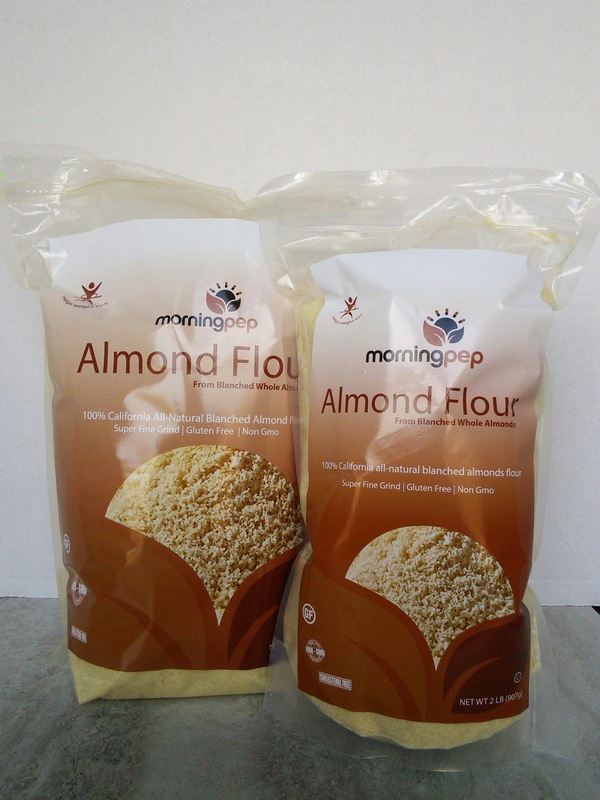 I am having a giveaway for a 5 pound bag of Morning Pep almond flour. Just enter on the form below and good luck! I think I'd add a teaspoon of wheat germ, a tablespoon of protein powder, and some strawberries for a pick-me-up breakfast shake! There's so many things I want to try it with, healthy bar, cookie, pancakes, Biscuits and so much more! I would like to try and make some muffins out of them. I have a new cookbook where she uses almond flour in almost all of her recipes and that would be a great book to try with the flour. I would try to make some muffins or pancakes with the almond flour. I'd use this flour to coat chicken and fish for baking. I would make cookies, muffins and cupcakes for my gluten free kids. I would make lots of tortes with the almond flour! I've always been interested in tortes, which use nut flour instead of wheat flour, but never had the luxury to buy almond flour. I love almond flour in cookies! It adds such a lovely nuttiness and texture. I love making almond flour bread with almond flour; great low carb option! I would use it to make some healthier cookies and bread. I would also love to make the almond milk. I've always wanted to try baking with almond flour. I have a lot of recipes that I've come across that call for it. 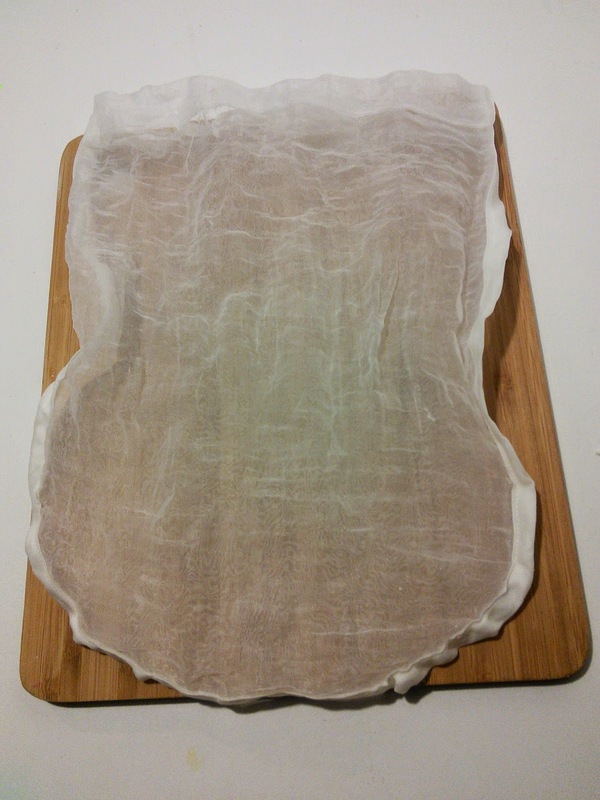 I am kind of addicted to coconut flour, so I feel like I'd love almond flour, too! I would make some chocolate muffins. I didn't know that I can make almond milk from almond flour. That is really exciting. I would make that first for sure! I would love to make pancakes and biscuts. I love breakfast and this would be a new twist. I love almond milk so I'd try that! I wonder how much you could make for that! High protein pancakes, would be the first thing made with the almond flour. I would add it to my Granola recipes. Thanks. EVERYTHING.. I love the idea of trying a new flour out! Looks like I can use this in my coffee. I would love to make some almond pancakes or muffin would be great thanks for the chance to win. Would love to bake with it! I'd use it to bind together nut balls! I would make some banana bread. The first thing I would make would be sunflower bread. Next, I would make pumpkin muffins...they go great with a good cup of coffee! I would use it in some quick breads- like pumpkin and banana bread! I would use it to make baked goods, anything you would normally add flour to, you can add almond flour to. It is healthier for you! I am trying to lose weight, and get healthier, and this is a very helpful choice. Thank you for offering this! I would like to make an almond torte with it. I would love to make some of the almond milk with the Morning Pep almond flour! I had never heard of this before reading this post! How interesting! My son has celiac disease so this flour comes in handy with all of my cooking. i want to make protein power balls! I use almond flour fo most baked goods, but unaware I could make almond milk so easily!! I would make some pretzels! Or maybe cheesy crackers. I would make a flourless chocolate torte first, then pancakes, and take it from there with 5 pounds to use! I would use it in all of my baked goods! I would put it into pancakes. I would use it to make muffins and pancakes.